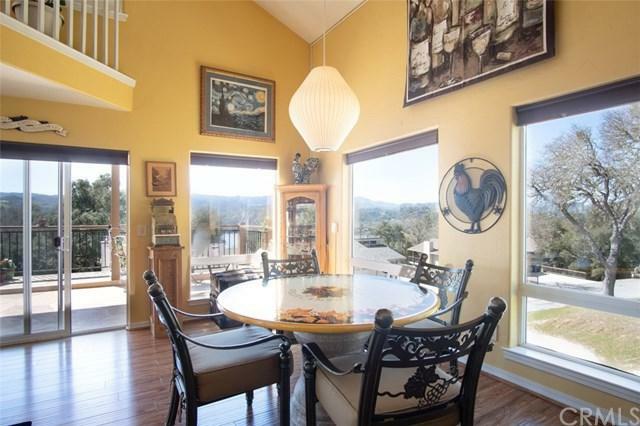 8765 Pronghorn Court, Bradley, CA 93426 (#300968980) :: Ascent Real Estate, Inc. 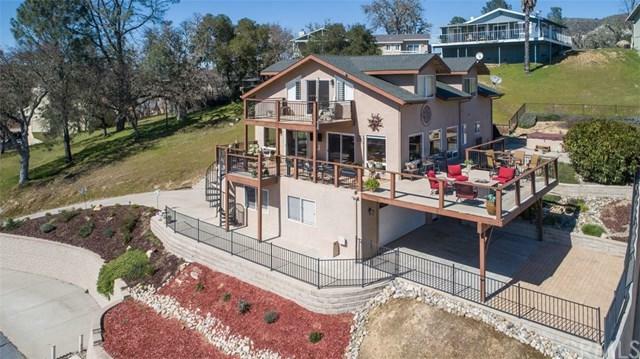 Encompassing some of the most incredible views in the entire Oak Shores community, this custom built, three level home is a prized Lake Nacimiento find. Enjoy a custom-built bar in the great room, the fire pit outside surrounded by beautiful glass on the deck, or the or the spa in the backyard. The home boast of two separate dining rooms and a stylish kitchen with travertine tile, granite countertops. The open floor plan allows the natural light to resonate within the entire home. 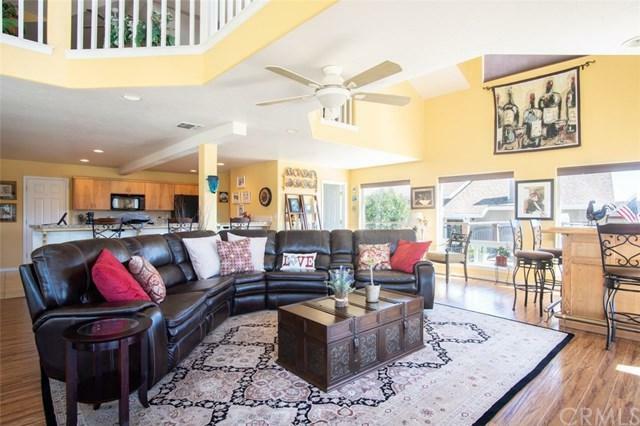 One of the most brillian Encompassing some of the most incredible views in the entire Oak Shores community, this custom built, three level home is a prized Lake Nacimiento find. Enjoy a custom-built bar in the great room, the fire pit outside surrounded by beautiful glass on the deck, or the or the spa in the backyard. 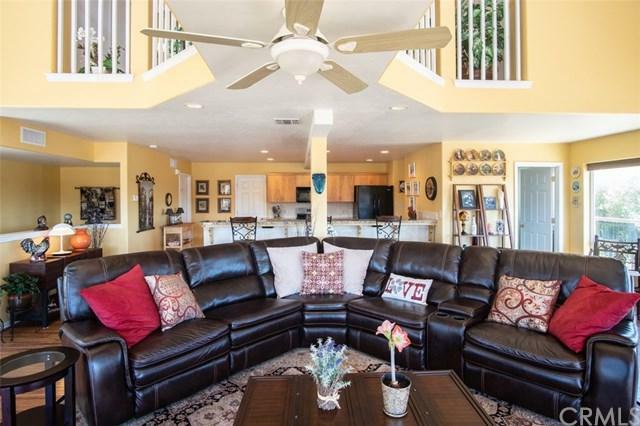 The home boast of two separate dining rooms and a stylish kitchen with travertine tile, granite countertops. The open floor plan allows the natural light to resonate within the entire home. One of the most brilliant aspects of the home is interior design of the master bedroom. The main level separates master suite from the guest bedrooms with an entire floor, allowing for privacy. You are greeted by the master suite floor plan, consisting of two walk in closets, space for additional storage. Additionally, the master bathroom boasts of a spacious shower, robust tile, and vanity mirrors for the ladies. Be prepared for the private balcony, peering out from THE HIGHEST vantage point on the cul-de-sac! The first floor encompasses two spacious bedrooms. Both bedrooms lead to outdoor access to the back patio. The aforementioned temperature-controlled wine cellar is downstairs as well. The extra-large two-car garage has plenty of space for the cars or toys. There is also extra guest parking can easily fit a boat or RV. If you feel like itÃƒÂ¢Ã¢â€šÂ¬Ã¢â€žÂ¢s time to upgrade to the lakeside lifestyle, call your realtor today and arrange a private showing.